To say that the disappearance of Malaysian Airlines flight MH370 is a mystery at the present time is to understate the case. The information that is available is so sparse and contradictory that it appears almost anything might have happened. So what are the possibilities? First, some facts. The flight, bound for Beijing, took off from Kuala Lumpur International Airport for Beijing at 12.41am on 8 March (local time). Communication was lost less than an hour later, at 1.30am, at which time the plane’s transponder recorded it off the east coast of the Malay peninsula. The flight was carrying 239 people – 227 passengers and 12 crew. All this is known. Beyond this, the story becomes positively murky. According to ABC News, the 777’s data reporting system shut down at 1.07am while the transponder – which sends information back to air traffic control about the plane’s location and altitude – switched off at 1.21am. At a press conference, Malaysia’s defence and acting transport minister Hishamuddin Hussein, said the authorities were investigating whether the communications systems had been deliberately shut down and that there were ‘four or five possibilities’ why they may have been shut off. He spoke of this being done intentionally, under duress, or as the result of an explosion – though obviously the latter would beg the question why the systems went off at different times. An even odder fact has emerged – that a third system, which transmits routine maintenance data, had continued to attempt to establish a satellite link for hours after the other two systems went silent. However, beyond the point where the transponder stopped working, there was no further communication from the crew. With the transponder inactive, as on 9/11, air traffic control was no longer able to track the planes and at that point flight MH370 effectively disappeared from their radar screens. However, it was later revealed that military radar, which tracks all air movements but not with any detail about the nature of the flight, had picked up an unidentified aircraft on a radically different bearing, crossing the Malaysian peninsula from east to west near the Malaysia-Thailand border and flying out into the Straits of Malacca. Why did the two systems pick up such different things? There are two different types of radar – primary and secondary. Air traffic control uses secondary radar, which sends signals requesting information from the plane’s transponder. The plane transmits data back, including its identification, altitude and bearing. Military systems use what is known as primary radar, which sends out signals that pick up the echoes which bounce back from airborne objects. There is, of course, one word of caution at this point. It has not been confirmed, and it is not yet possible to say that this military trace picked up the missing flight and not some other, as yet unidentified aircraft. This total confusion of data has led to equal confusion on the ground, with searches covering an extraordinary area – as yet to no avail. People are left asking all sorts of questions, based around the one key riddle of what happened to the aircraft. Clearly, something extraordinary and catastrophic happened to it, so what are the options? The aircraft suffered a sudden, total loss of structural integrity in mid-air at the point when the transponder stopped working. Against this theory is the excellent record of the 777. Although Boeing had issued a warning to check for structural corrosion around a satellite antenna on the aircraft, this particular plane is said not to have been fitted with the system. This also does not explain why the three communication systems stopped working at different times, and why the third continued to attempt to transmit data for hours after the transponder signal was lost. A terrorist set off an explosion on the flight. This would have had to cause instantaneous disintegration, otherwise the pilots could very quickly and discreetly have punched in a four-digit code that would have alerted air traffic control to their situation. Against this theory, again, is the fact that the communication systems stopped working at different times. Sudden, uncontrolled decompression caused the passengers and crew to lose consciousness, with the aircraft continuing to fly until it ran out of fuel. This has indeed happened – Helios Flight 522, flying from Cyprus to Athens, crashed in 2005 because a sudden decompression incapacitated the crew. While this would explain the lack of communication from the pilots, again the fact that the three communication systems stopped working at different times suggests a different scenario. Pilot error. In modern accidents, pilot error has become a much more common factor than structural failure. The last major unexplained disappearance of a plane was Air France flight 447 from Rio de Janeiro to Paris, which went missing with 216 passengers and 12 crew – the Airbus A330-200 simply disappeared beyond radar cover at night over the Atlantic ocean. A massive search operation eventually located the plane and its cockpit voice recorder (CVR) and data recorders, which revealed that the accident was the result of a junior pilot fatally mismanaging the flight system, pushing the plane’s nose up after its pitot tubes (which measure air speed) froze temporarily, to the extent that it simply became unable to fly and fell out of the sky. If something of this kind happened on the Malaysian Airline flight, which was in contact with air traffic control, why were no messages sent out? And again, why did the communication systems stop working at different times? Maintenance error. Again, as planes have become more and more safe structurally, maintenance errors have crept up the list of reasons why planes crash – either due to a lack of maintenance causing a structural failure to be missed, or due to a major mistake in maintenance (real life examples include using the wrong screws to re-attach a vital part, or indeed not re-inserting them at all). For this to be a possibility, the experts will need to explain how a structural issue could cause the communications systems to fail separately. Fire. This scenario would envisage a sudden, locally-catastrophic fire that immediately destroyed the pilots’ communications equipment, the transponder and then progressed to destroy the other two systems. This would tie in with a report from an oil rig worker off the south-east coast of Viet Nam, who described seeing a plane burning at high altitude at about the time when the Malaysian Airlines flight was initially reported to have crashed. Hijack. This is an option that is clearly being seriously considered by officials, who are examining the backgrounds of the crew and all the passengers. Terrorism or hijack were made to look more likely by the discovery that two passengers were travelling on stolen passports, though investigations suggest the pair were trying to enter Europe illegally. However, this remains one of the solutions that (so far) fits the known facts. Again, why would the pilots not have had time to enter the alarm code to alert air traffic control? ‘Suicide by pilot’. Again, this has happened in real life. Silk Air Flight 185, which crashed into a river in Sumatra, is a controversial example – this hypothesis was not accepted by the Indonesian National Transport Safety Committee, but the American National Transportation Safety Board (NTSB), which modeled the crash, concluded that the only way to achieve the flight profile was as a result of deliberate flight control inputs. EgyptAir Flight 990 is another example of a disagreement between the home country and the NTSB, which again concluded that the plane had been deliberately crashed. While a relatively rare occurrence, a deliberate act by a crew member would also fit the known facts. Passenger suicide. This would echo the scenario above and indeed the hijacking theory. To achieve this, a passenger would have had to be familiar with the flight controls on the 777 and how to fly it. As an example, Fed-Ex flight 705 was hijacked by a Fed Ex employee taking a lift on the flight, who attacked the crew in an attempt to disguise his suicide as a plane crash – the crew managed to fight him off and subdue him, though they were badly injured. In both the crew and passenger suicide scenarios, one key question is, if the plane is confirmed to have flown on for several hours after the transponder stopped working, why did the culprit not crash the plane immediately? One possible answer is that CVRs record cockpit conversations for a minimum of 30 minutes and a recommended two hours, so the culprit may have wished to erase all evidence of their act from the recorder, in case it is ever found. These are the main options that appear to be under consideration. There are other, wilder theories ranging from missile attack to alien abduction, but none that fit within the realm of the possible. Could the plane even have landed safely? Some relatives cling to this hope. This plane requires a substantial runway though – pilots suggest 11,000ft. There are very few unattended runways of this size in this part of the world, and the plane certainly has not landed at any ‘official’ airport. Even if an abandoned runway of this size exists, to land on an un-maintained runway, without the aid of air traffic control guidance or the automated systems that pilots rely on for landing would be an extraordinary feat. However it is one achieved by an Air Canada flight in 1983. This ran out of fuel but nevertheless managed to land at an air strip one of the pilots remembered from his air force days, at a remote spot called Gimli in Manitoba. Unfortunately (to the crew’s dismay) the strip had been turned into a motor sport park since that time, but the plane was brought down safely, and the remarkable feat saw the plane labelled ‘the Gimli glider’. So while unlikely in the extreme, this is not entirely impossible. What happens now with flight MH370? Everything depends on whether the plane can be found, and the CVR and flight data recorder retrieved, and whether the remains of the plane and the data provide answers to this deepening mystery. On the positive side, these seas are not deep (around 80m). Retrieving a plane from the Atlantic is far more difficult, in theory, because of the extraordinary depths involved (the Titanic is 3784m down, for example). 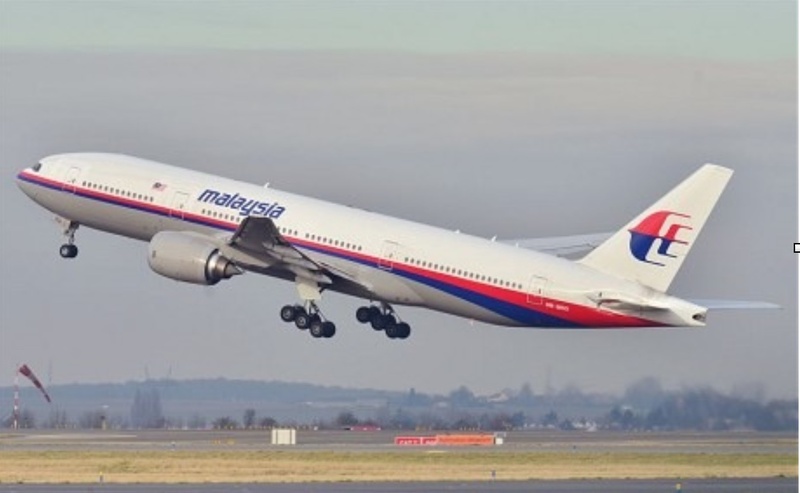 However, the uncertainty over the location of the Malaysian Airways plane makes finding it extremely challenging – the search area is immense and vague. It is to be hoped that the intense search-and-rescue activity and examination of satellite data can produce answers for the grieving families. If, as seems increasingly possible, no trace of the plane is found, it will go down as a mystery on a parallel with Flight 19, which disappeared in 1945 in the Bermuda Triangle.